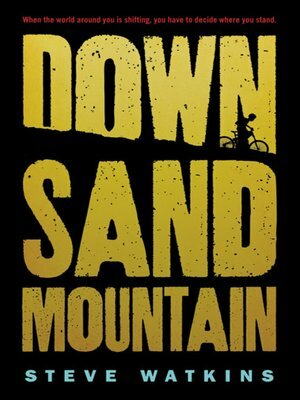 In a tale full of humor and poignancy, a sheltered twelve-year-old boy comes of age in a small Florida mining town amid the changing mores of the 1960s. It's 1966 and Dewey Turner is determined to start the school year right. No more being the brunt of every joke. No more "Deweyitis." But after he stains his face with shoe polish trying to mimic the popular Shoeshine Boy at the minstrel show, he begins seventh grade on an even lower rung, earning the nickname Sambo and being barred from the "whites only" bathroom. The only person willing to talk to him, besides his older brother, Wayne, is fellow outsider Darla Turkel, who wears her hair like Shirley Temple and sings and dances like her, too. Through their friendship, Dewey gains awareness of issues bigger than himself and bigger than his small town of Sand Mountain: issues like race and segregation, the reality of the Vietnam War, abuse, sexuality, and even death and grieving. Written in a riveting, authentic voice, at times light-hearted and humorous and at others devastating and lonely, this deeply affecting story will stay with readers long after the book is closed.